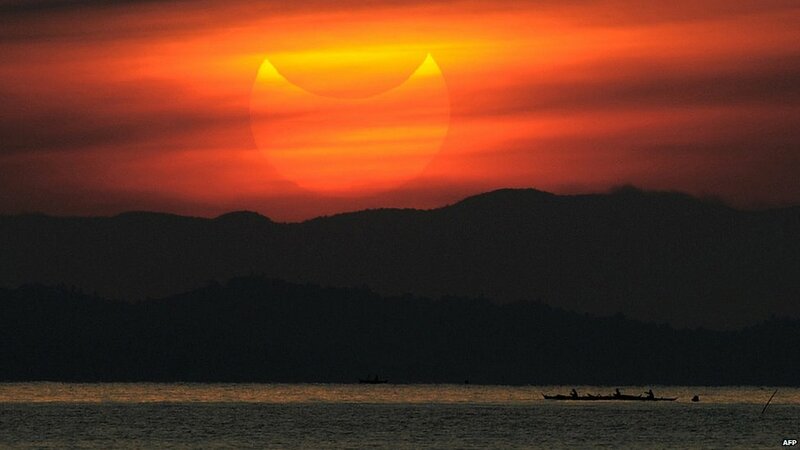 Millions of people have witnessed an annular eclipse that swept across the Earth from eastern Asia to the western US. The eclipse happens when the Moon is at its farthest from the Earth and passes in front of the sun, not quite hiding it completely. 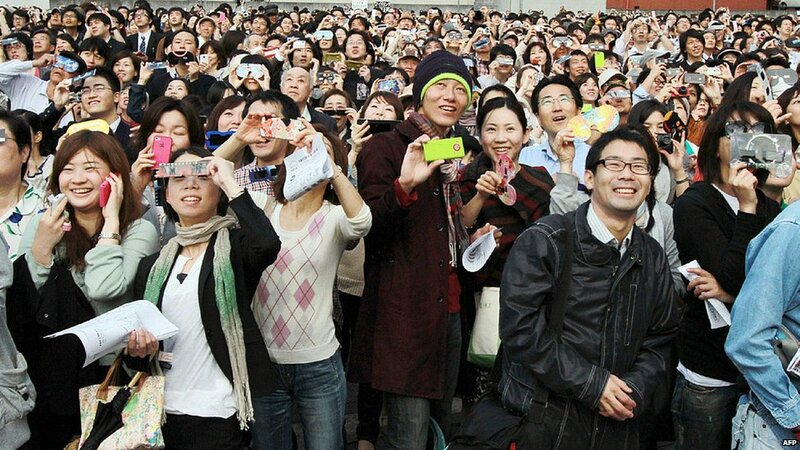 People in Japan were among the first to witness the phenomenon - using special viewers. 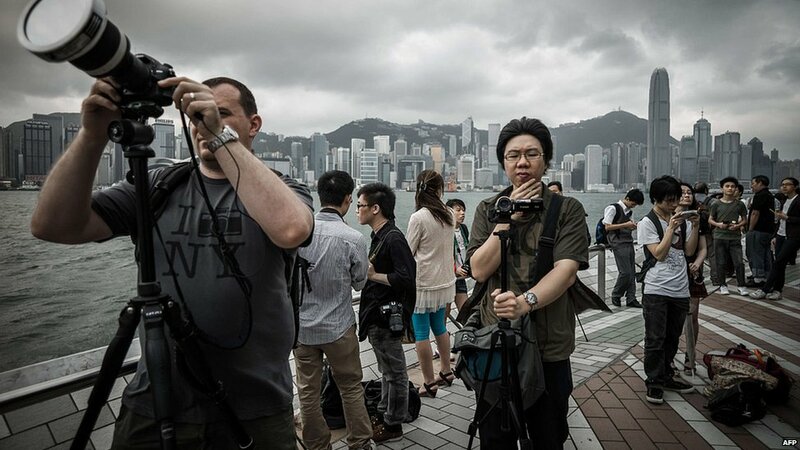 However, cloudy skies over Hong Kong disappointed many who turned up hoping for a viewing. 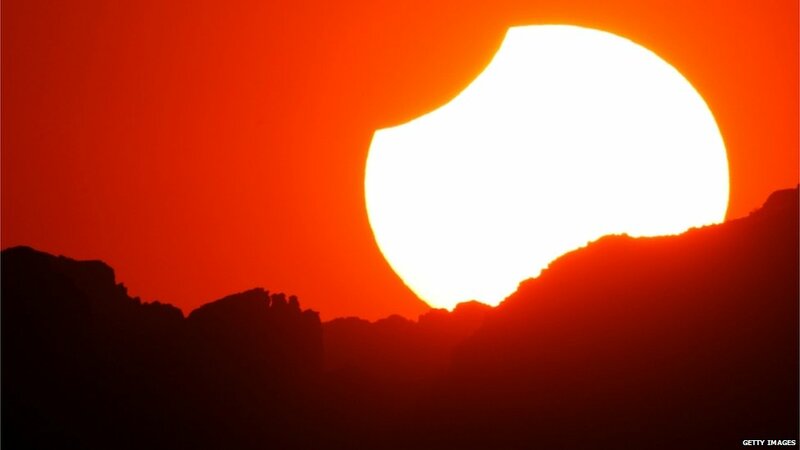 Overlooking the Grand Canyon National Park in Arizona, the partial eclipse offsets a blazing bright red-orange sky. 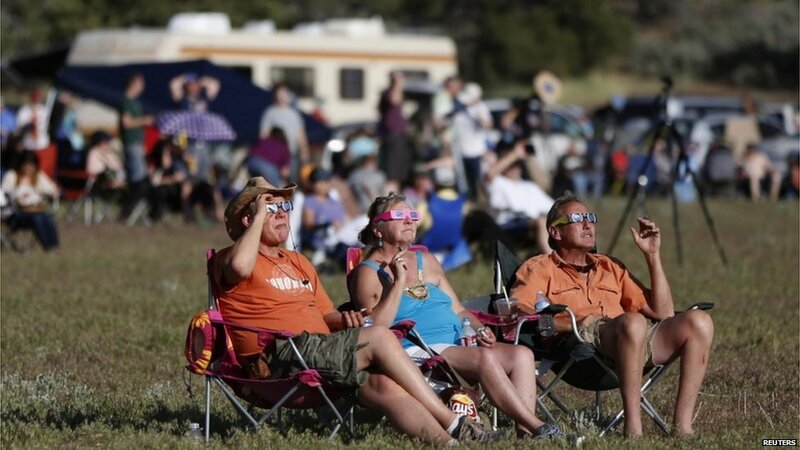 Stargazers in Kanarraville, in the US state of Utah, are not likely to see another annular eclipse until 2023. 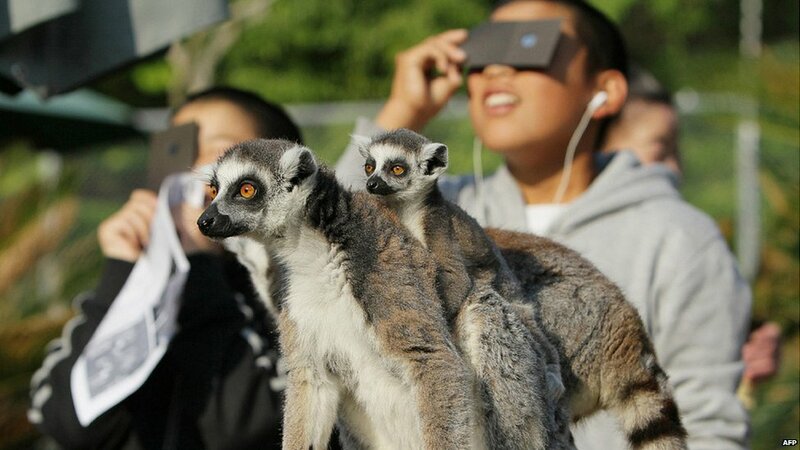 Children and animals at the Japan Monkey Centre in Inuyama city, Aichi prefecture, seemed to be enjoying the event. 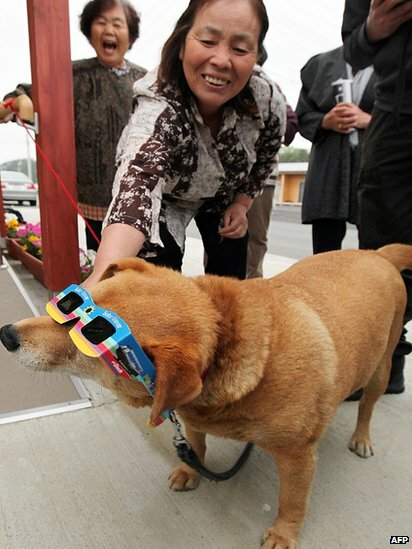 There was also a party atmosphere at Koriyama city in Fukushima prefecture, northern Japan, where residents - and pet dogs - turned out to see the eclipse. 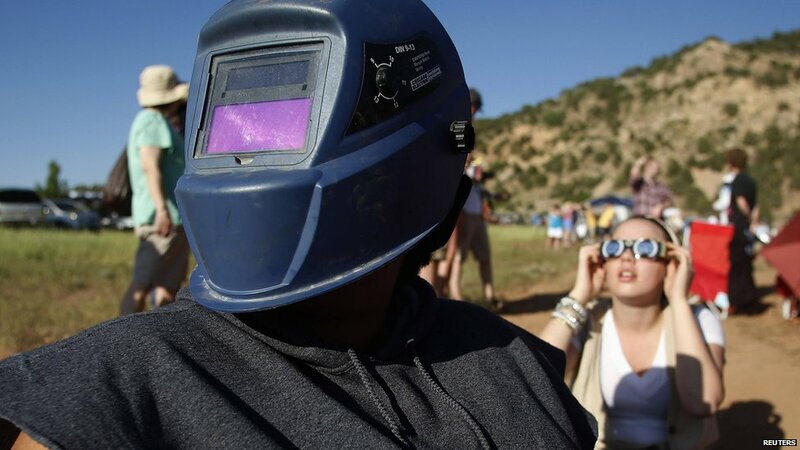 This viewer in Kanarraville made sure her eyes were protected by wearing a welding mask. 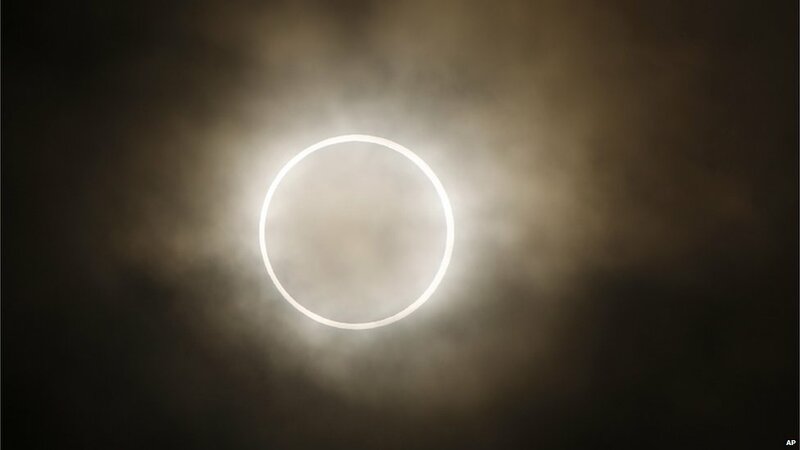 The annular eclipse ended its 8,500 mile (13,600km) journey across the Earth in Texas.